Diatonic Scale: The Shadow of What Was Lost. By James Islington. The Shadow of What Was Lost. By James Islington. 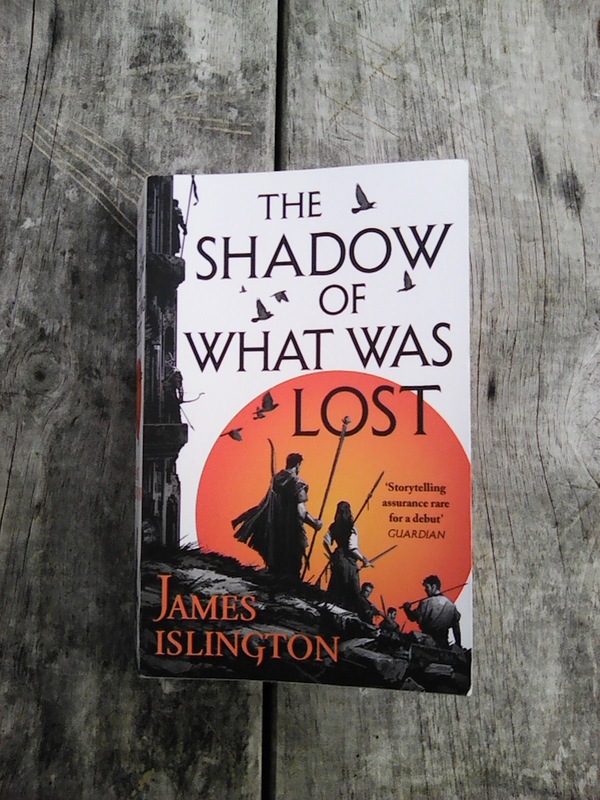 Currently (18.6) reading a fantasy written by an Australian Author, James Islington's "The Shadow of What Was Lost", all in capital letters according to the book cover, the first book of a trilogy. 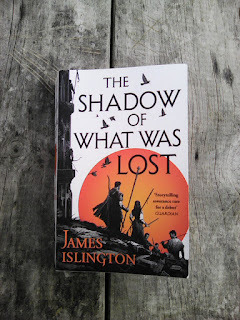 I picked it up because of the marketing features, the evocative title, the art work on the cover, a party of adventurers silhouetted by an orange sun and its description as an "action packed fantasy" by something called BookBag. And I ask you, when has something called BookBag ever been wrong? It is pleasant escapist fantasy, with enough detail to be light reading and not ponderous. I am over three quarters through and it has some fantasy tropes that are reminiscent of Game of Thrones and The Witcher, which I am not complaining about because those tropes are pleasantly synthesized and gradually developed, or introduced. It is a low magic setting, post an antimage war, where the mages lost and you probably already know where the story is heading by now. The characters are likable, their descriptions are sufficient to the point you could draw them in "Order of the Stick" lego men detail, and the protagonists who start off as young people leaving a school, more or less act to explore and demonstrate the geology, politics and underlying science of the setting. It's not going to change your world view or anything, but if you're tired of reading about Pug in Raymond E Feist's Riftworld Saga, well the first book of this trilogy is a pleasant, contemporary read.